This fascinator is a one of a kind. You are sure to turn heads with this dramatic confection! I love vintage items and embellishments, so whenever possible my hats and fascinator/cocktail hats will have some really interesting and often unusual additions from my large collection. I don’t mass produce my hats so you’ll never need worry about bumping into someone else wearing the same. 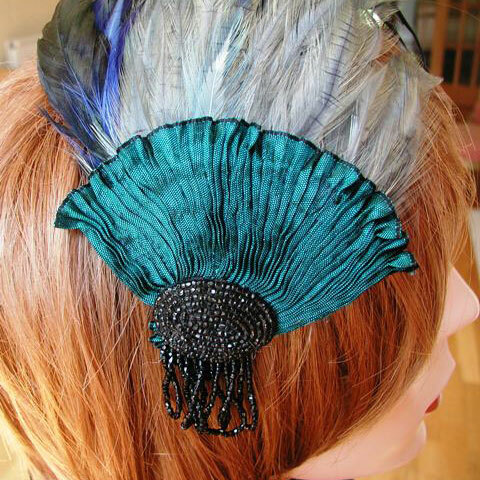 A lovely handmade headpiece for any special occasion, a wedding, the races, prom etc. I have used 2 of my French vintage unused feather pads. 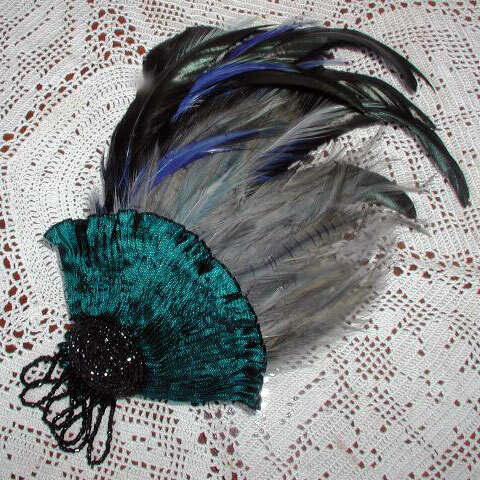 The larger feather pad is a mixture of black and vivid blue, then on top we have the smaller pad of pale grey /blue feathers, Then we have the fan of pleated ribbon, and for the finale, that wonderful French jet, art deco embellishment. 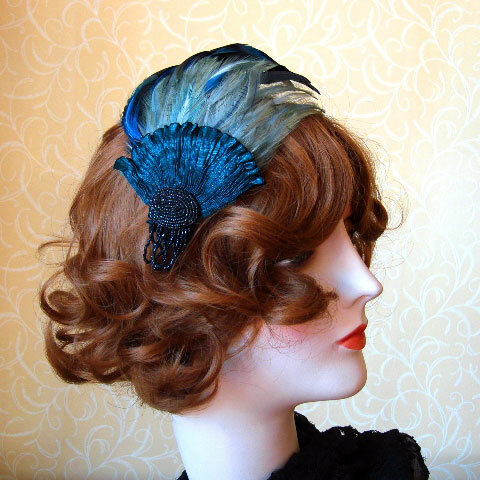 The fascinator is fitted with a comb, and is lined in velvet. It can be worn on either side. I have tried to show all these details in my photos.